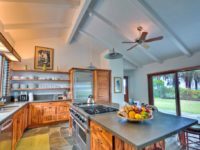 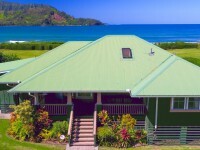 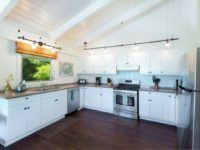 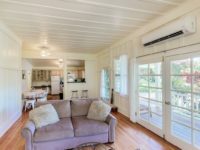 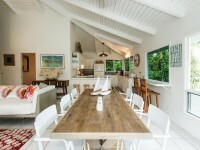 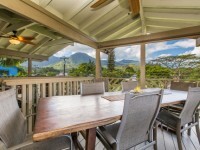 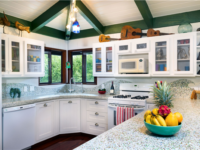 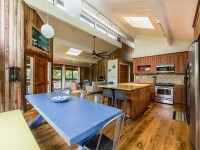 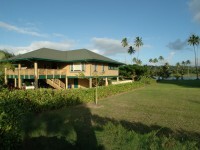 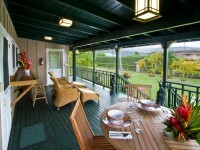 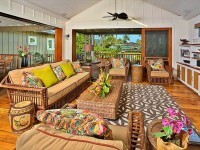 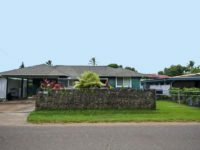 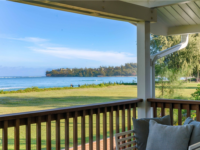 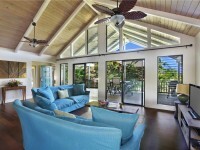 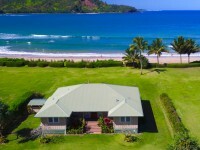 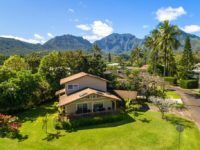 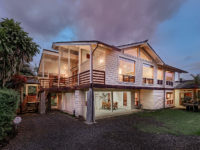 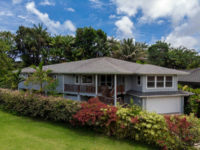 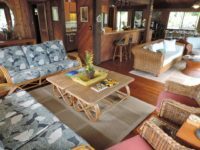 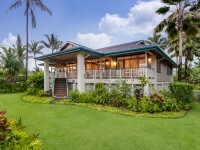 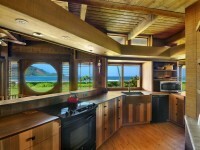 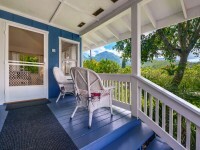 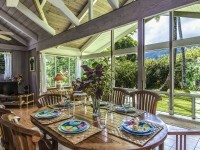 HANALEI, KAUAI VACATION RENTAL: The Hanalei Ohana is newly constructed home and is decorated with every amenity and luxury imaginable. 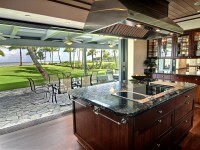 Granite counter tops, European cabinetry, sub-zero refrigerator, flat panel televisions, outdoor Bar-b-que, wireless internet. 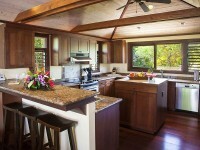 The home features Brazilian hardwood floors throughout and a gourmet kitchen. 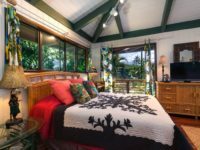 There are two master suites with king size beds and bathrooms that include whirlpool tubs, showers, and private balconies. 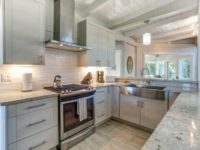 Granite, marble and tile are used extensively throughout the home. 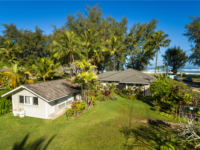 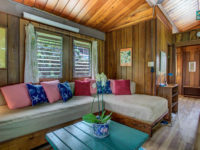 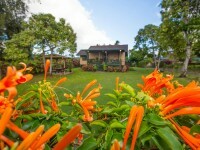 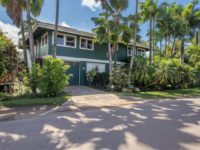 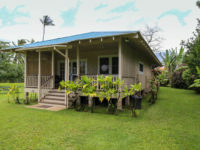 Discover why Hale Mana means spiritual house as you sit on your own private deck, in a secluded back yard and listen to the stream, which runs through the property. 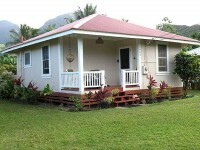 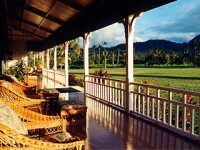 This is one of the most peaceful settings in all of Hanalei. 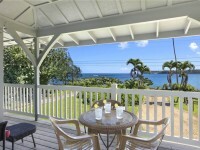 Everything you need is within walking distance, restaurants, shopping, swimming, snorkeling, and sailing.